Beecher Terrace is located in the Russell Neighborhood; the severely distressed public housing development was built in 1939. The site, comprised of 31.40 acres on four super blocks, is bordered by Muhammad Ali Boulevard, Jefferson, 9th and 12th Streets, and includes a total of 758 one, two and three-bedroom apartments. Louisville Metro Housing Authority received a $29.574M Choice Neighborhoods Initiative Implementation grant award from HUD on December 12, 2016 to implement Russell’s Transformation Plan. These funds are leveraged with over $200M of additional public and private investment in the neighborhood. Part of Russell’s Transformation Plan is to replace the distressed Beecher Terrace housing complex. The relocation of existing Beecher Terrace households will begin in 2018, and will be completed in phases. Demolition and remediation will begin in Fall, 2017 and construction will be completed by September,2023. A total of 640 housing units will be constructed on the Beecher footprint, including 620 mixed-income rental and 20 homeownership units. The new sustainable, walkable, and amenity-rich Beecher Terrace community will feature commercial businesses on the first floor of select buildings along 9th and Muhammad Ali, and a renovated and expanded Art Deco style community center flanking an Olmsted-designed park. 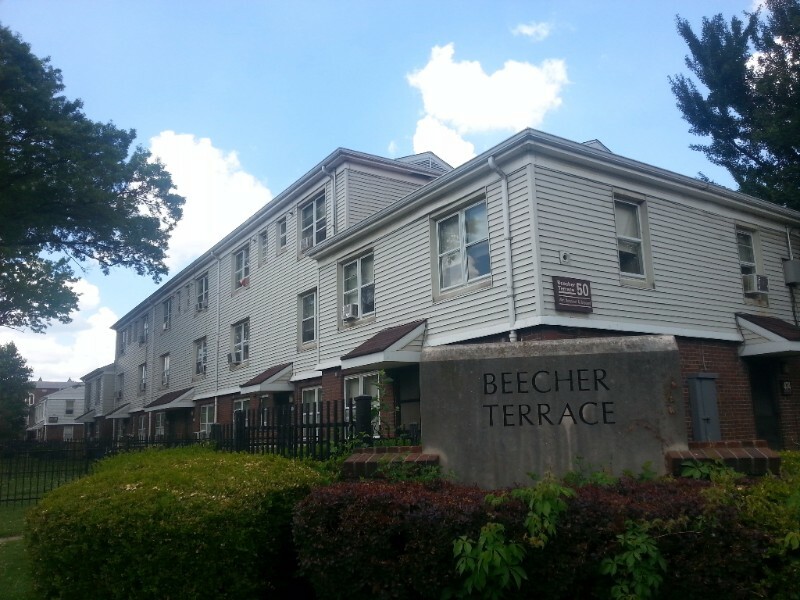 The Louisville Metro Housing Authority is committed to replacing all 758 units in Beecher Terrace as it moves forward with the redevelopment of the complex. Replacement housing will be built on the Beecher Terrace sites, in the Russell neighborhood and in high-quality neighborhoods throughout the city. The redevelopment is expected to proceed with or without the U. S. Department of Housing and Urban Development’s $29.6 million Choice Neighborhood grant. The Beecher Terrace Choice Neighborhood project will include an aggressive Section 3 program that is designed to help provide training, employment and contracting opportunites for economically disadvantaged persons. Historically, LMHA has exceeded its goals for Minority, Female and Disabled Business Enterprise (MBE/FBE/DBE) participation for its projects, including all three of its HOPE VI Revitalization Developments (Park DuValle, Liberty Green and Sheppard Square). It is expected to do the same with the Beecher Terrace redevelopment. To achieve this consistently high level of performance, LMHA has a MBE/Section 3 Coordinator on staff. The housing authority’s design firm, Urban Design Associates, has crafted a master plan that will be further developed in conjunction with Sherman Carter Barnhart Architects. The master plan includes designs for a senior building, townhouses, multi-family apartments, mixed-income buildings and community areas that complement the architecture in surrounding neighborhoods. The revitalized Beecher Terrace neighborhood will be designed and built in accordance with Enterprise Green Community and Energy Star standards to ensure the most advanced environmental quality and reduced energy expenses. Enterprise Green Communities is an organization that helps developers, investors, builders and policymakers make the transition to a green future for affordable housing. All rental and homeownership units will be constructed according to Enterprise Green Community standards; this housing has been shown to deliver significant health, economic and environmental benefits to families of all incomes. At least six residential units will be certified LEED Homes, and LEED Neighborhood Development status will be sought for Beecher. The LEED program, or Leadership in Energy and Environmental Design, supports more sustainable, environmentally sensitive construction projects and neighborhoods. To help fund these costs, LMHA applied for and was recently awarded a 2016 Affordable Green Neighborhoods grant valued at $44,500 which will provide technical assistance, support, and waivers of LEED ND registration and certification fees. On-site organic waste composting and recycling stations in the parking lots on each block. In addition, all newly constructed Beecher Terrace units will be smoke-free. An essential component of the Choice Neighborhood grant is the Community and Supportive Services (CSS) Plan. The CSS Plan was designed to 1) prepare individuals for the transition from Beecher Terrace to their new communities during the revitalization process; 2) offer services that would support success in the workplace; and 3) move families towards a path of self-sufficiency. Programs and services include needs assessments and comprehensive case management services for all former Beecher Terrace residents; health care services that are accessible and affordable, including the HUD health initiative “With Every Heartbeat is Life,” which focuses on self-help management for chronic illness; job placement; financial skills training; a scholarship program for residents who are high school/GED graduates and wish to pursue higher education; recruitment for Early Childhood Education programs; transportation assistance; homeownership counseling and a Section 8 Homeownership program which offers subsidy towards a mortgage payment for eligible candidates. Beecher Terrace households will be kept abreast of these programs and services, along with progress on the Choice Neighborhood program, and education and employment opportunities, through a quarterly newsletter.